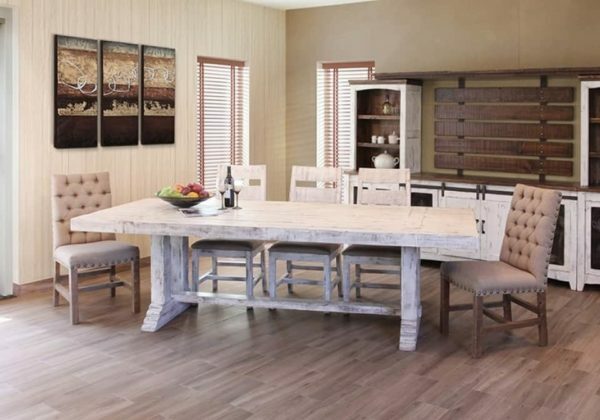 This dining table is great for families and those who love to entertain. 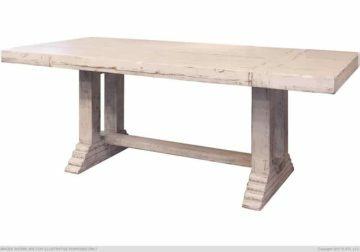 The solid pine table rests on a double pedestal base and seats up to six comfortably. *Table only. Chairs shown in image are not included, but are available to purchase separately. This grand collection blends rustic and traditional styles, creating a charming and chic set of furniture, perfect for your home. The over-sized pieces feature a vintage finish and elegant traditional details such as crown molding and raised molding. Create a sanctuary in your home with the opulent headboard and footboard bed and matching storage pieces.